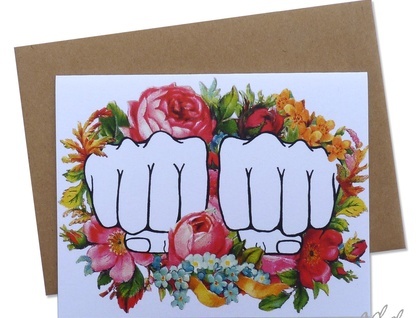 KNUCKLE TAT - CUSTOMIZABLE CARD! An original illustration by Odd One Out is combined with an image from a vintage Victorian Scrap – so cute! I have left the knuckles on this illustration deliberately blank for you to customize as you wish – see the second pic for an example. 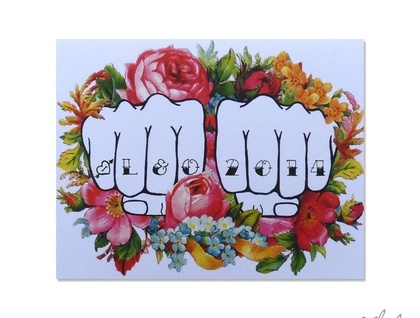 You could use a couples initials and date for an engagement card or your own for an anniversary - anything you like!